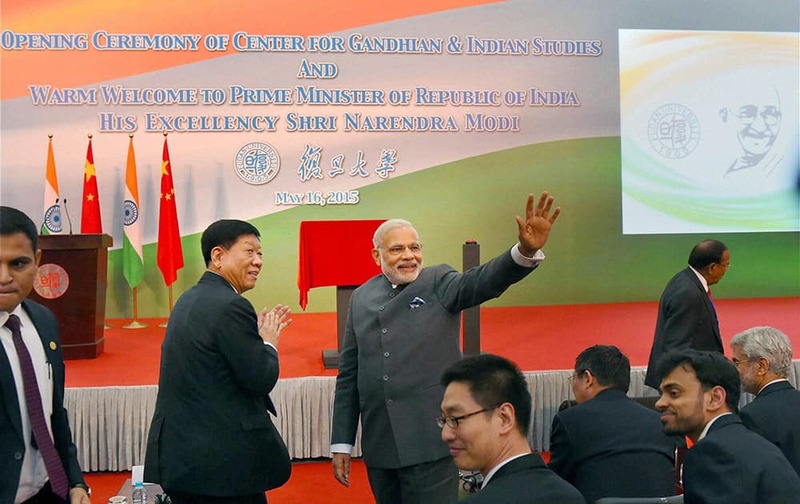 Prime Minister Narendra Modi addresses during opening ceremony of Centre for Gandhian & Indian Studies at Fudan University in Shanghai. 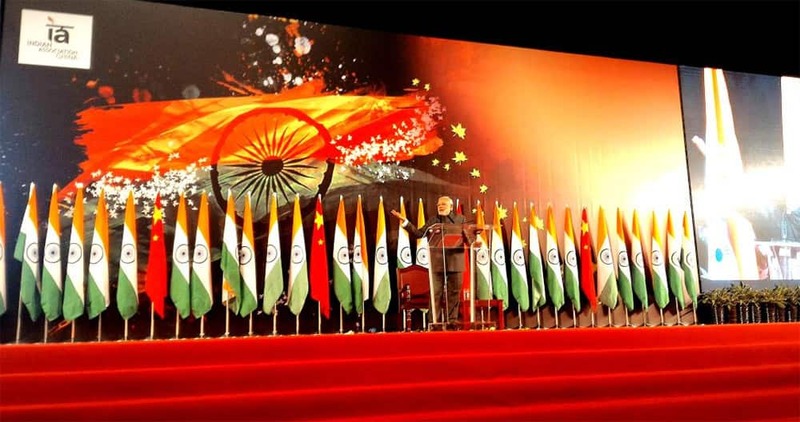 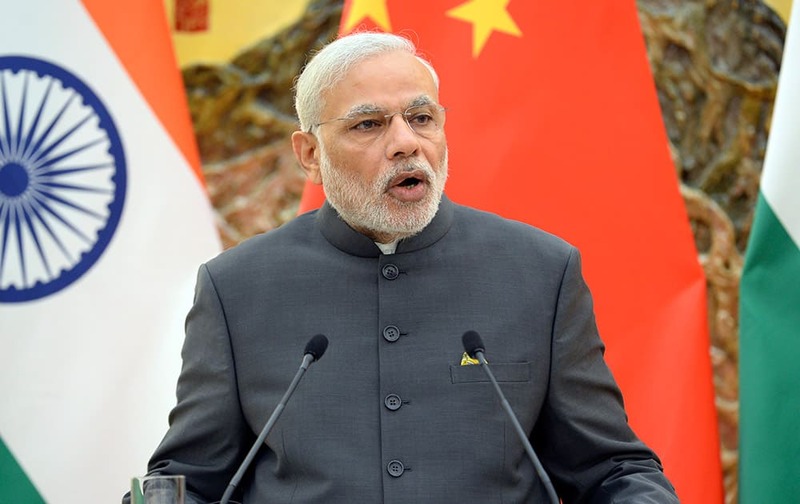 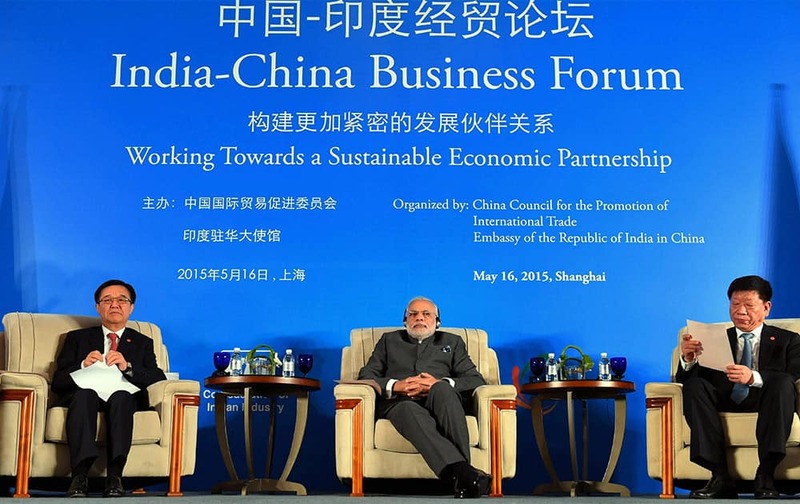 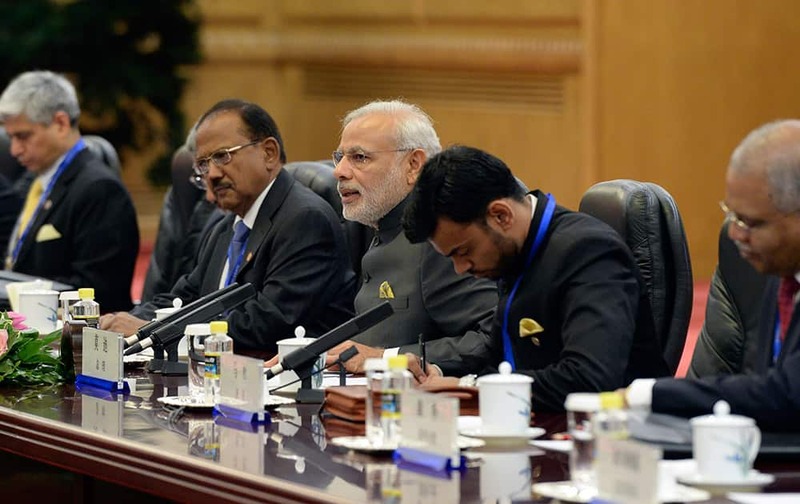 Prime Minister Narendra Modi during the India-China Business Forum in Shanghai. 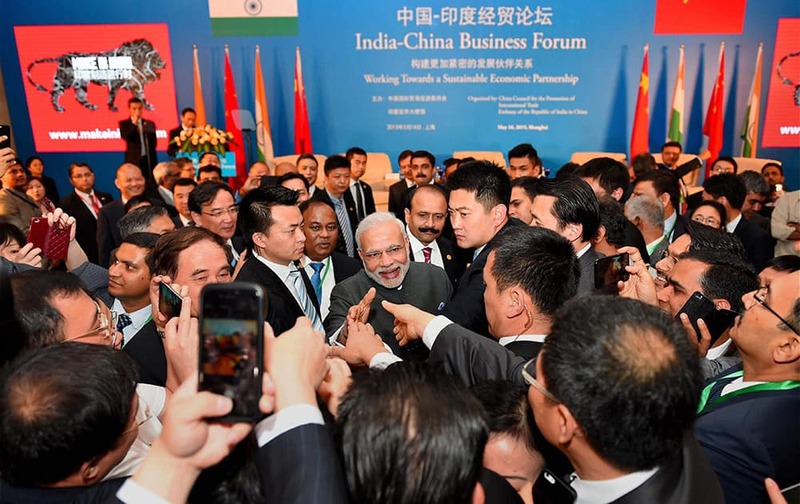 Prime Minister Narendra Modi shaking hands with business leaders at the India-China Business Forum in Shanghai. 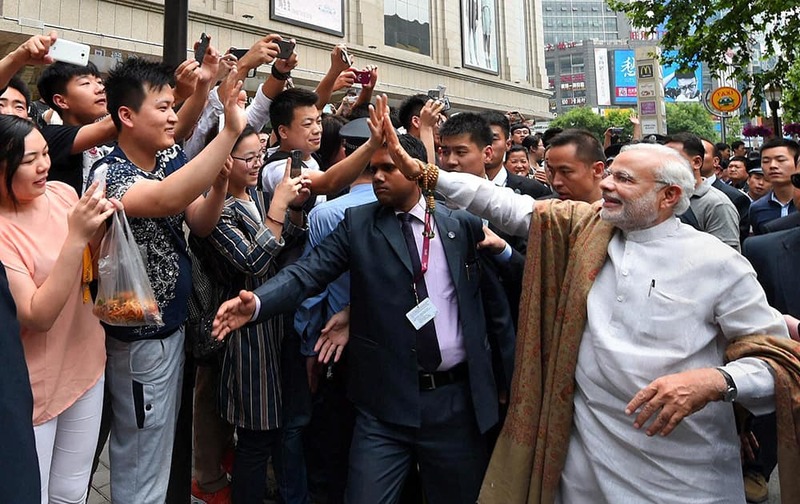 Prime Minister Narendra Modi waves during opening ceremony of Centre for Gandhian & Indian Studies at Fudan University in Shanghai. 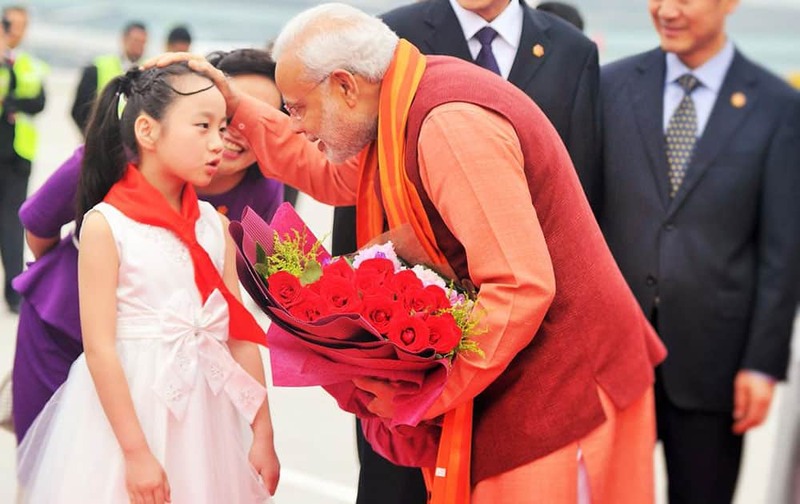 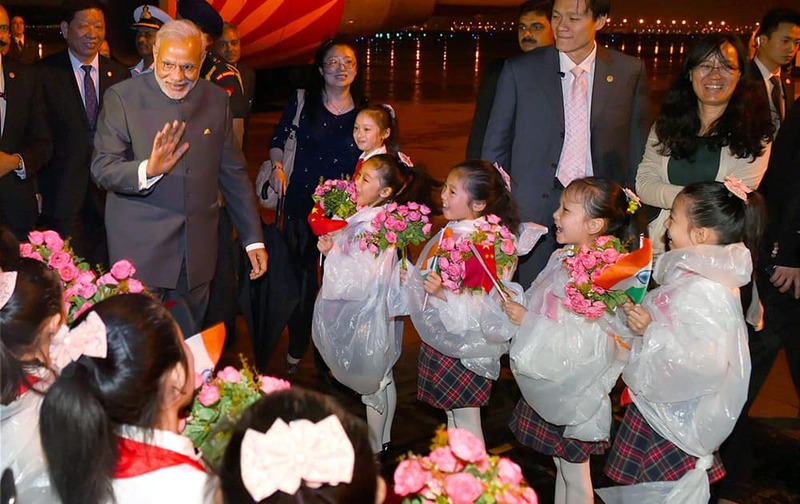 Prime Minister Narendra Modi being welcomed by children upon his arrival at Shanghai Honggiao International Airport in Shanghai. 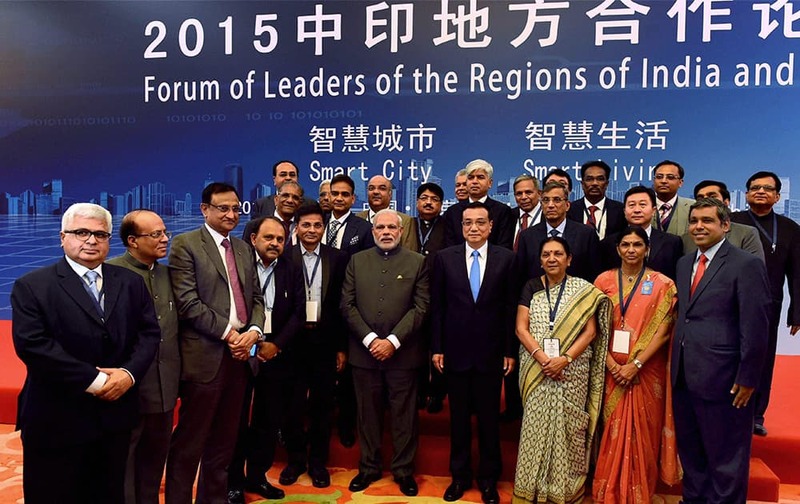 Prime Minister Narendra Modi and Chinese Premier Li Keqiang pose a group during the launch of India-China Forum of State & Provincial Leaders at the Great Hall of People in Beijing, China. 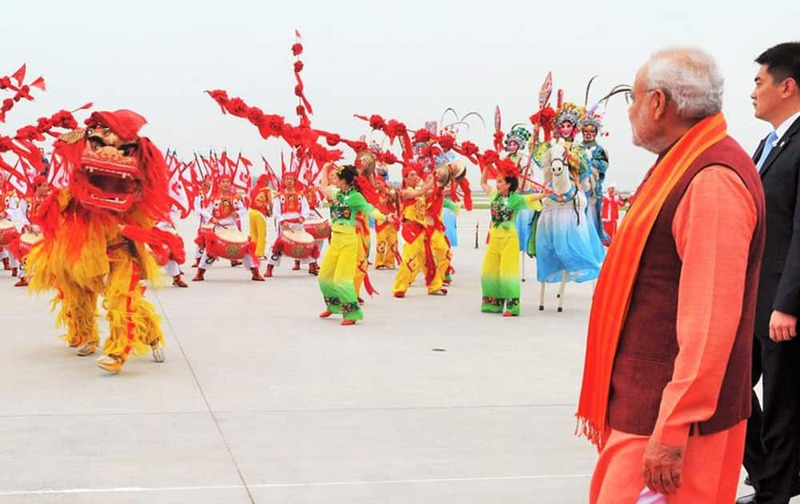 Prime Minister Narendra Modi during traditional Tang Dynasly, welcome cermony of South City Wall in Xian. 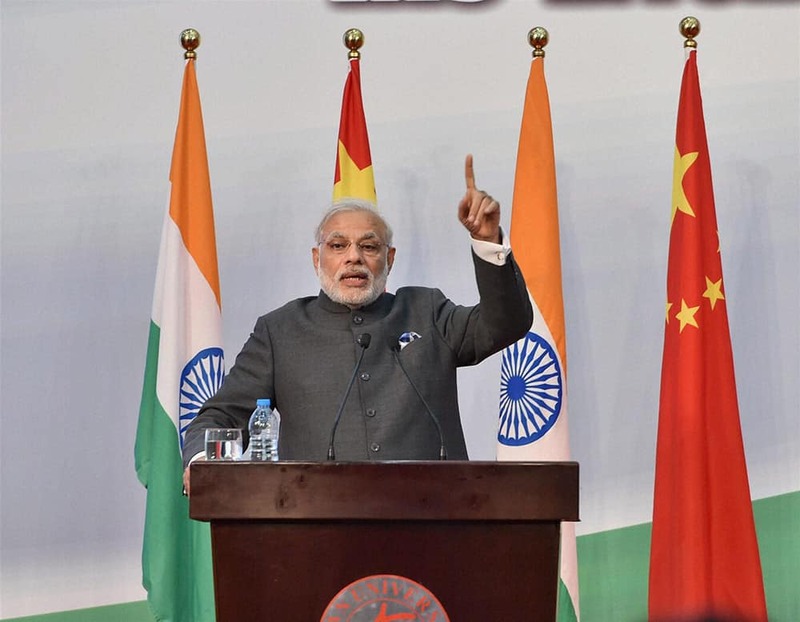 Prime Minister Narendra Modi speaks during a press conference at the Great Hall of the People in Beijing, China. 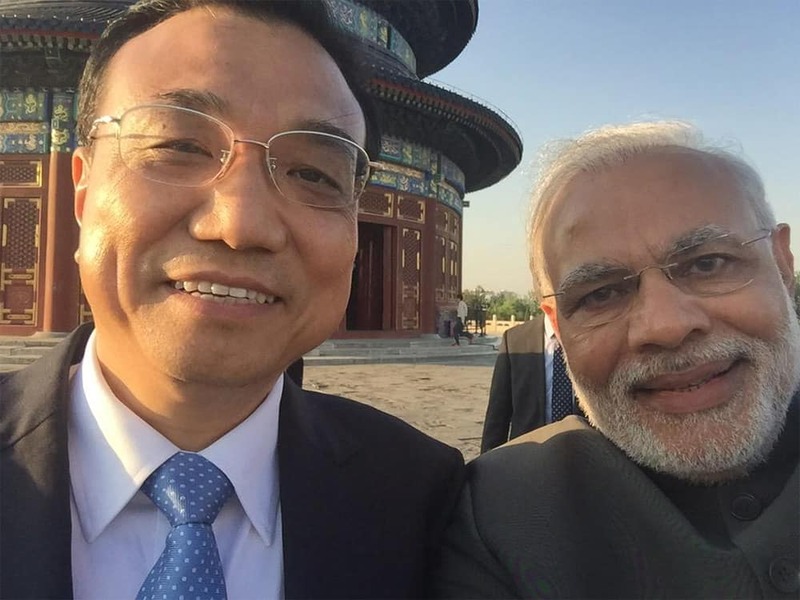 Chinese Premier Li Keqiang and Indian Prime Minister Narendra Modi attend a signing ceremony at the Great Hall of the People in Beijing, China. 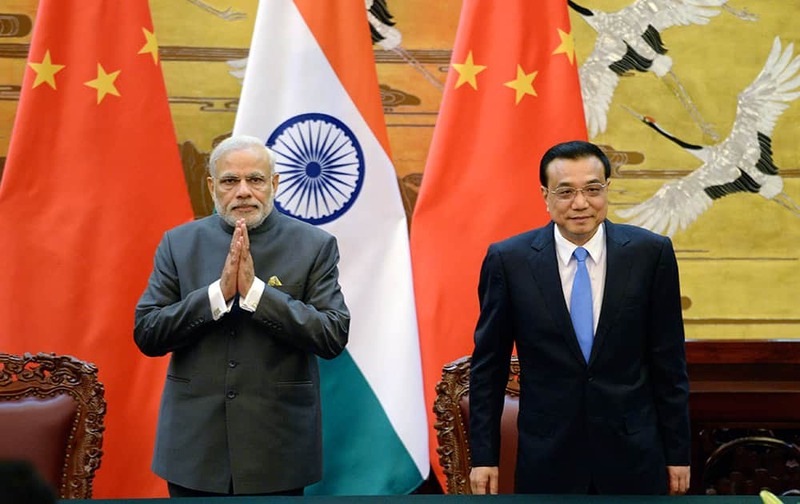 Prime Minister Narendra Modi, talks with Chinese Premier Li Keqiang during a meeting at the Great Hall of the People in Beijing. 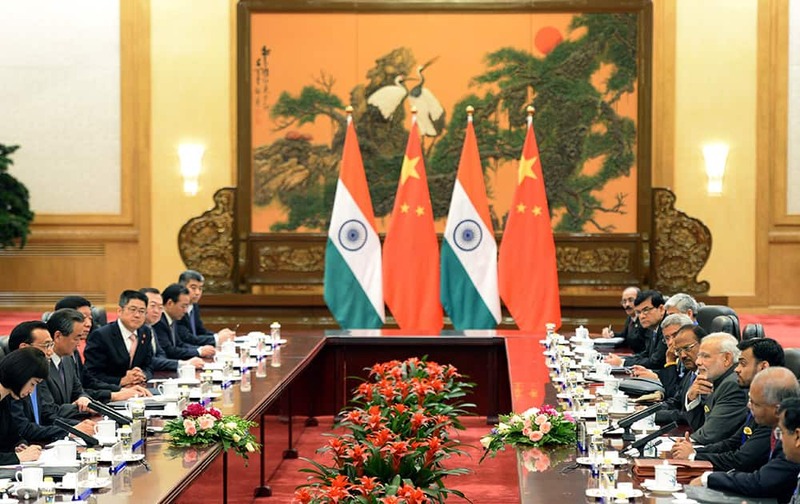 Prime Minister Narendra Modi, talks with Chinese Premier Li Keqiang, during a meeting at the Great Hall of the People in Beijing, China. 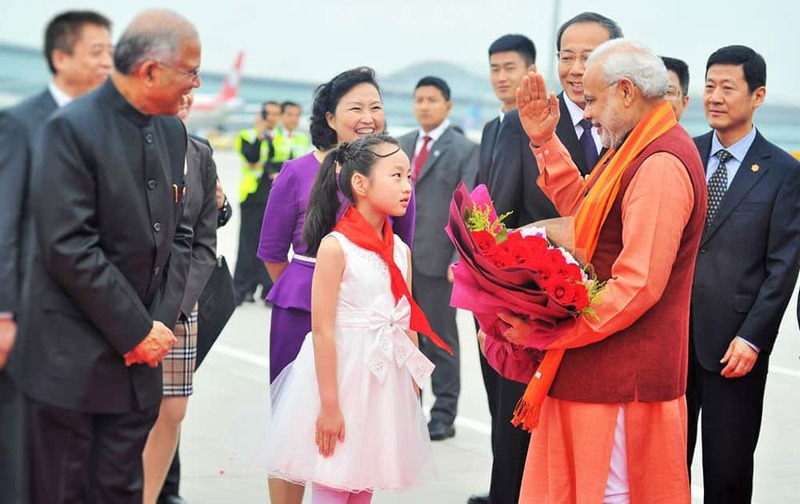 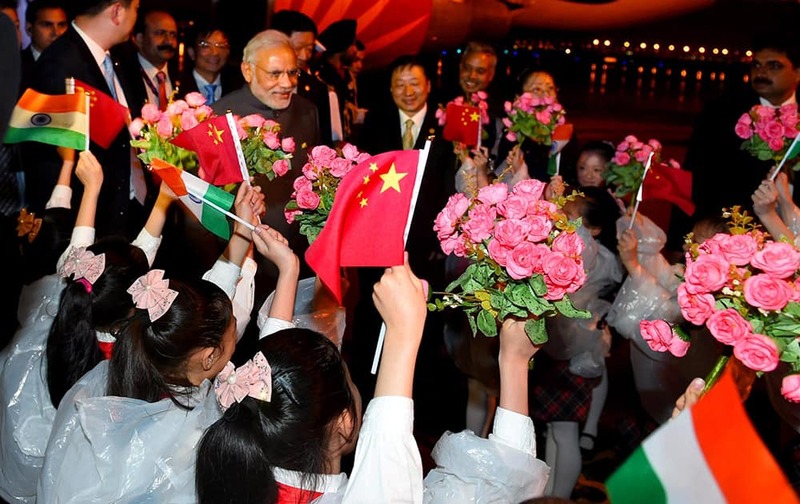 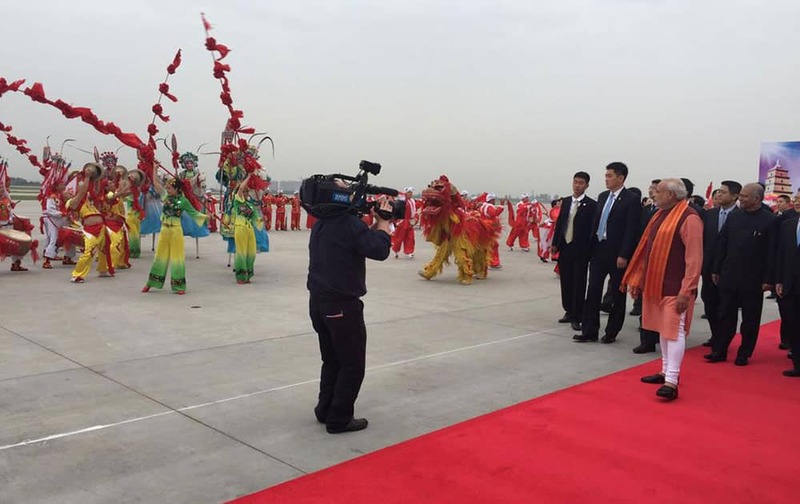 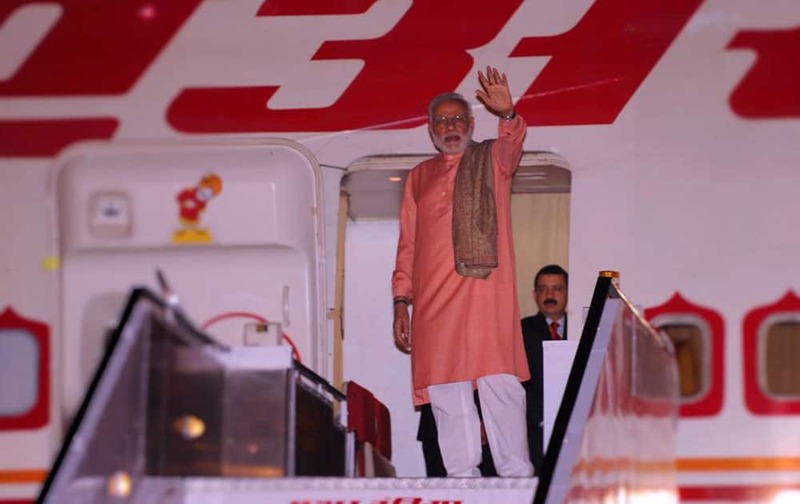 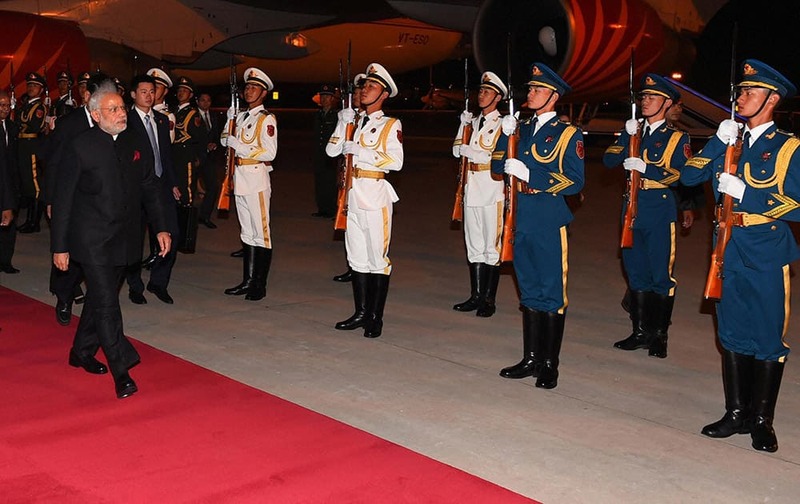 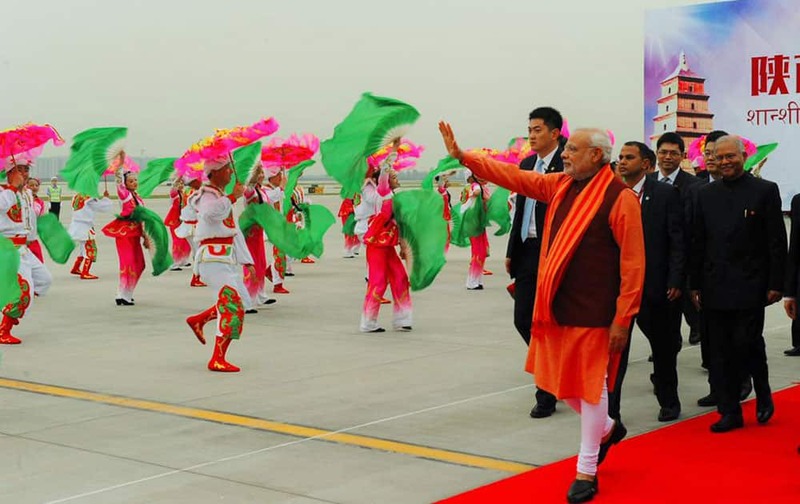 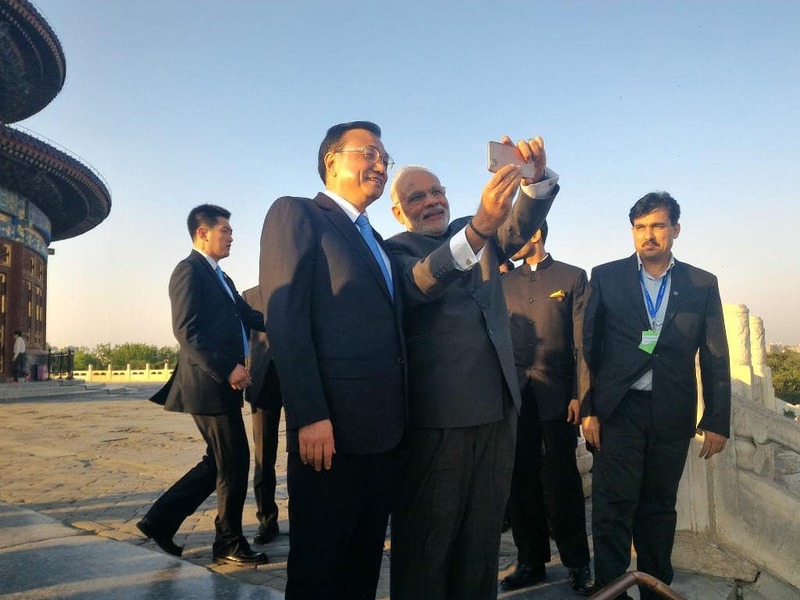 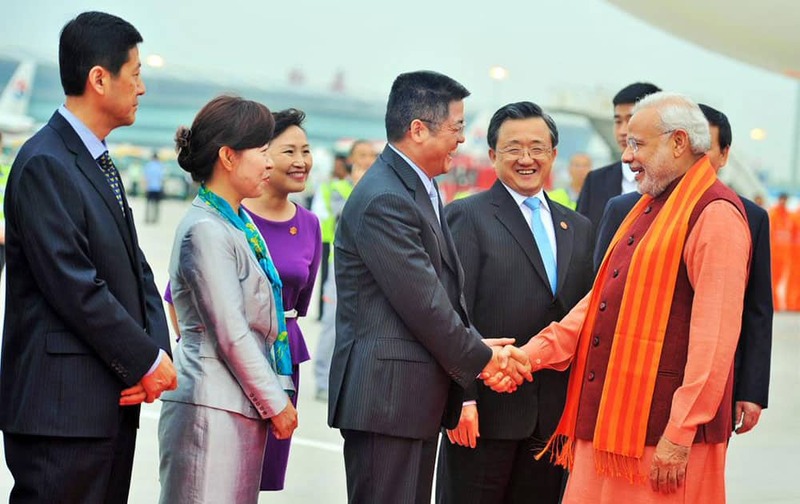 Prime Minister Narendra Modi being welcomed on his arrival at Beijing airport in China. 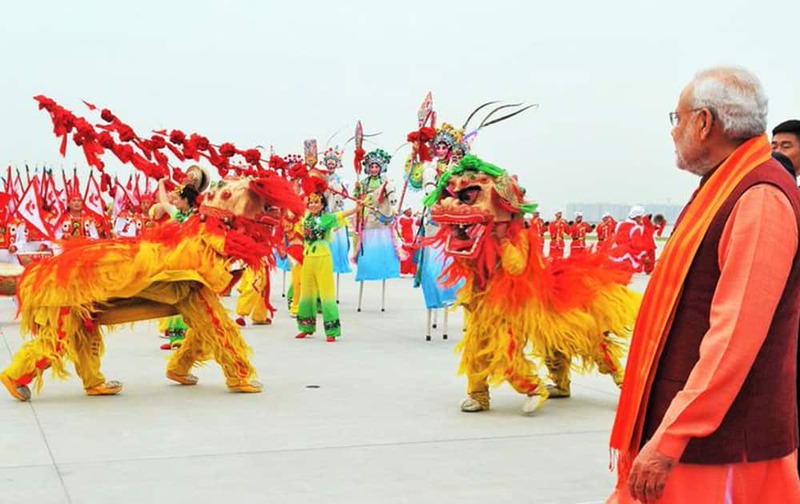 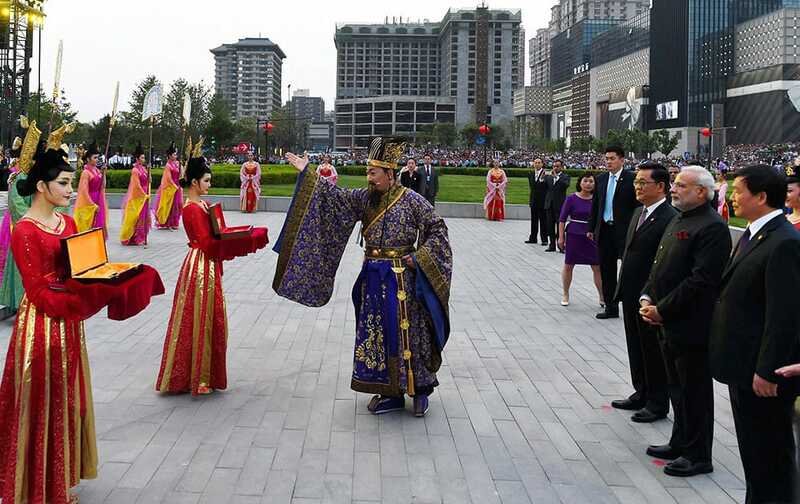 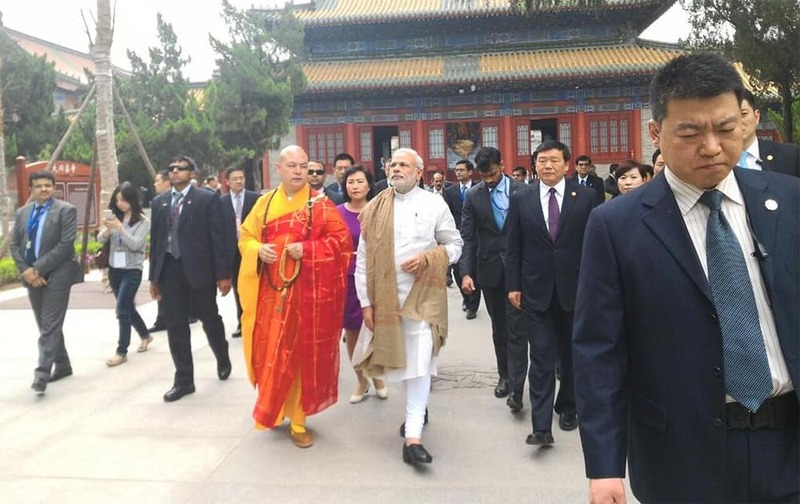 Prime Minister Narendra Modi during the traditional Tang Dynasly, welcome cermony of South City Wall in Xian,China. 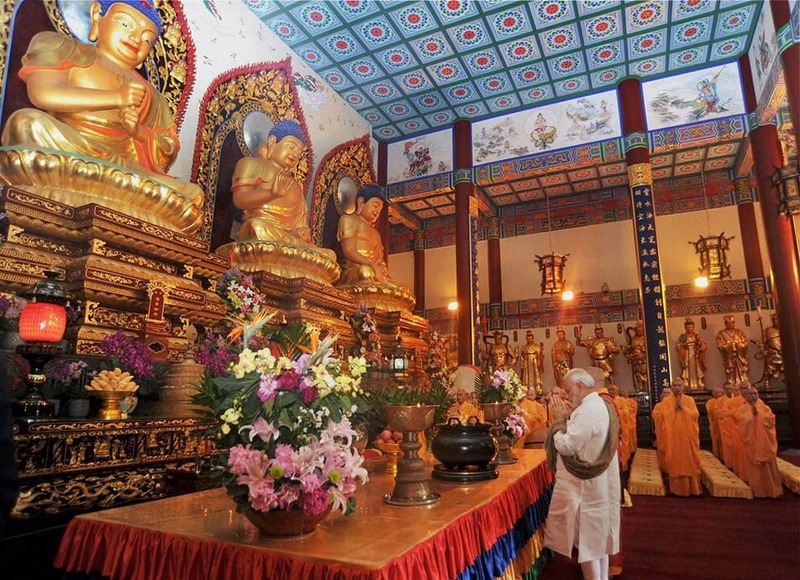 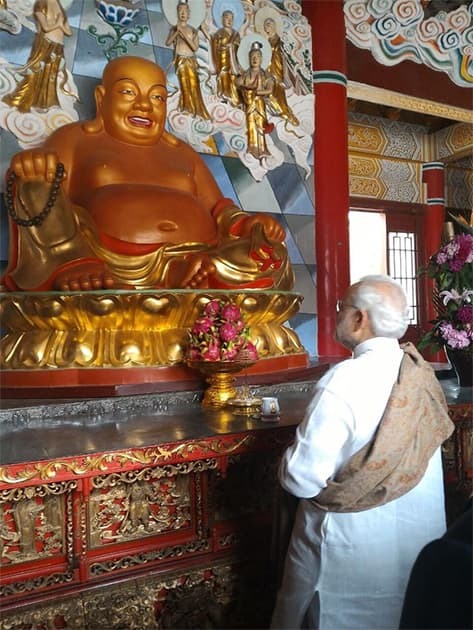 Prime Minister Narendra Modi during a visit to the Daxingshan Temple. 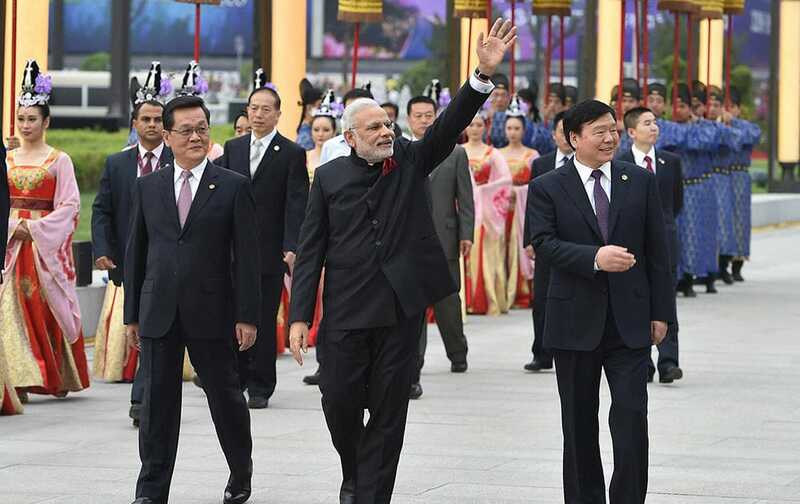 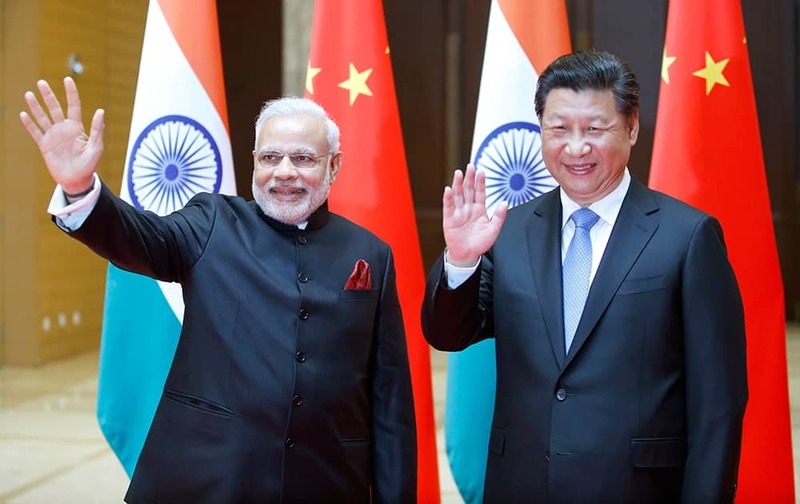 Prime Minister Narendra Modi and Chinese President Xi Jinping wave to journalists prior to their meeting in Xian, Shaanxi province, China. 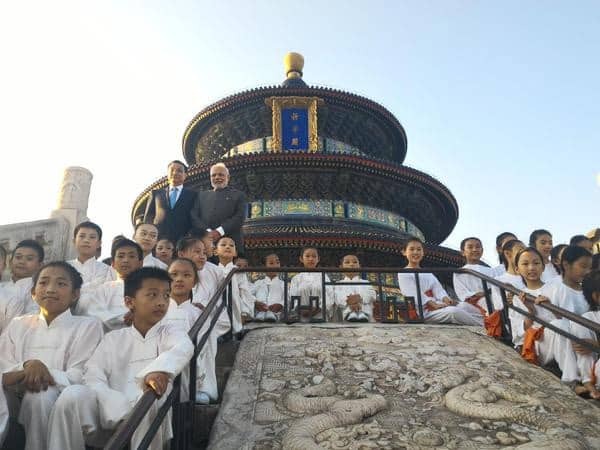 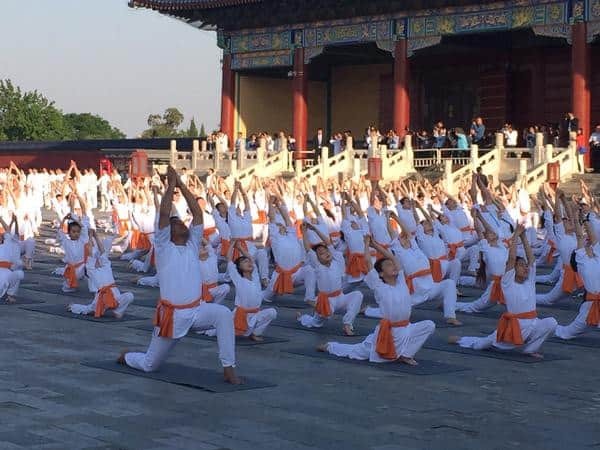 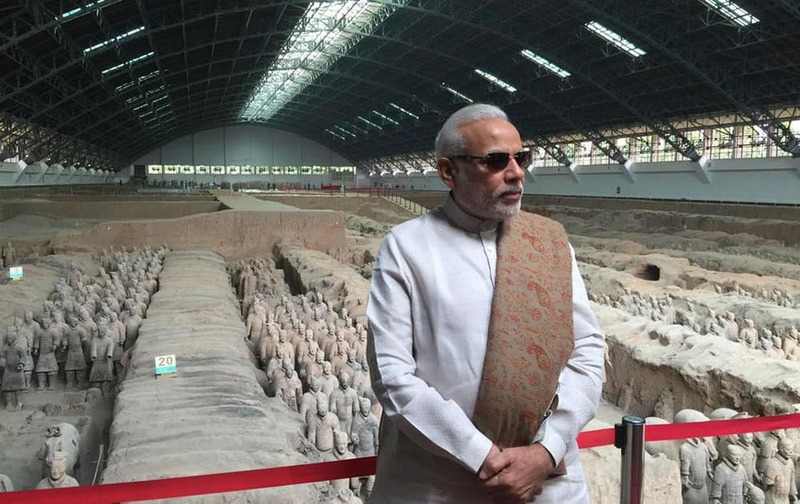 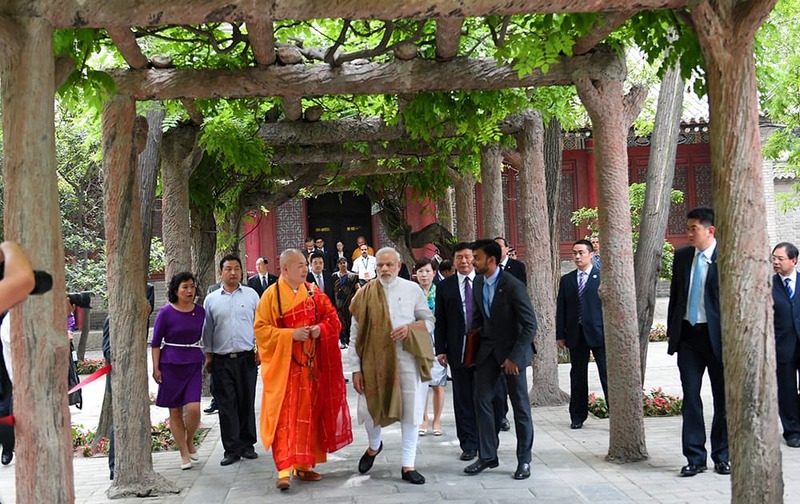 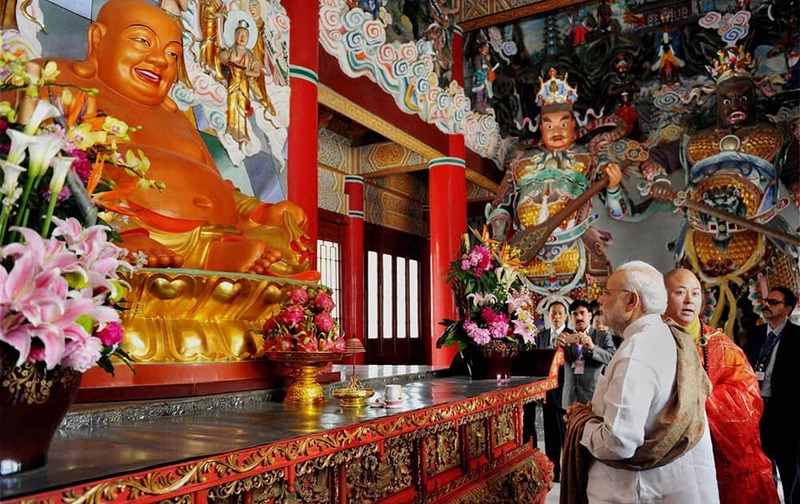 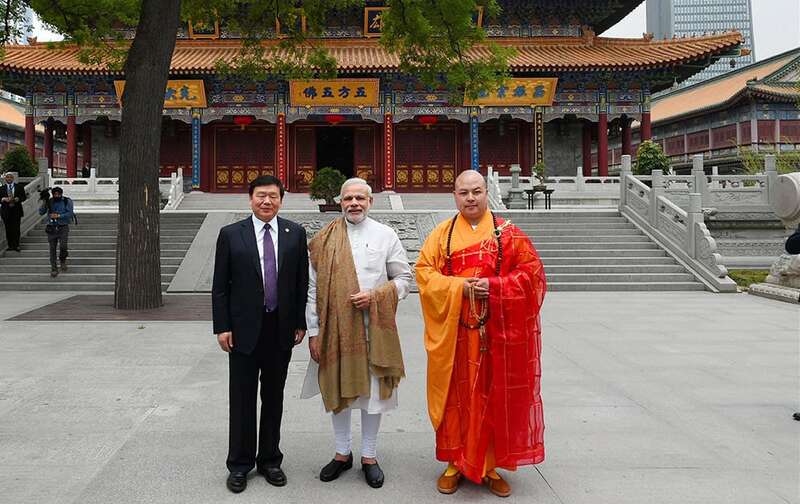 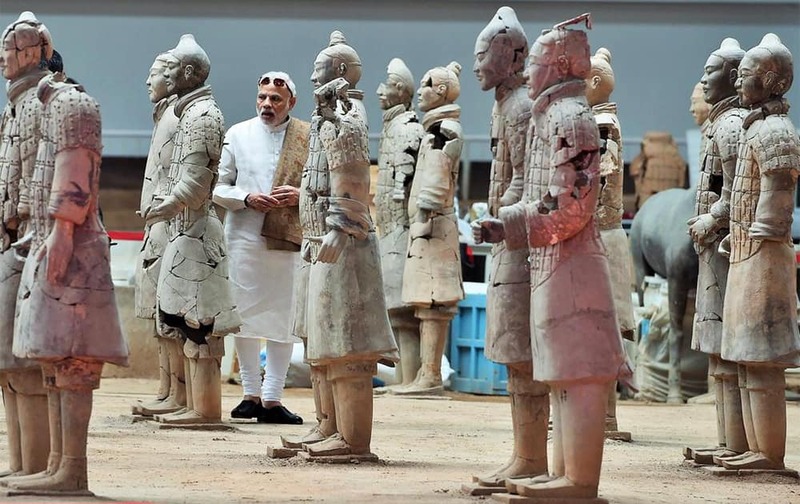 Prime Minister Narendra Modi during his visit Daxingshan temple in Xian, China. 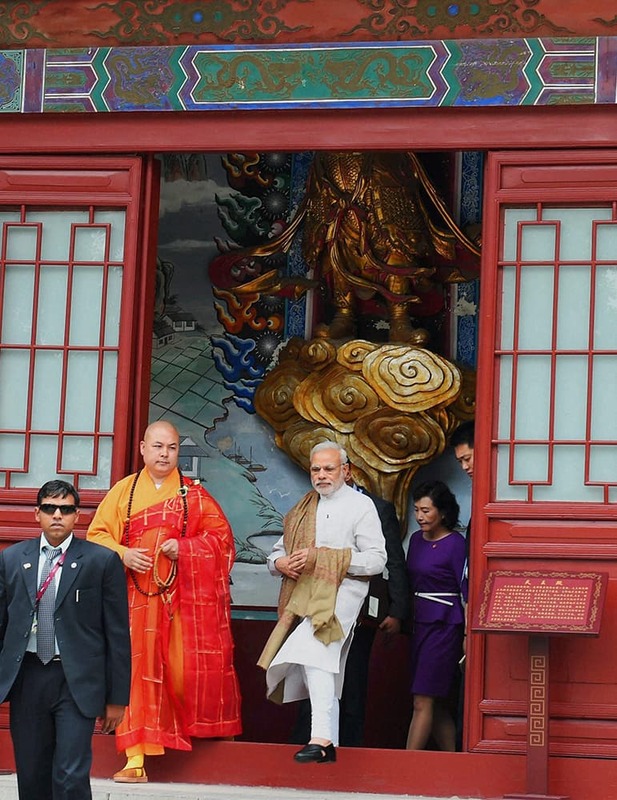 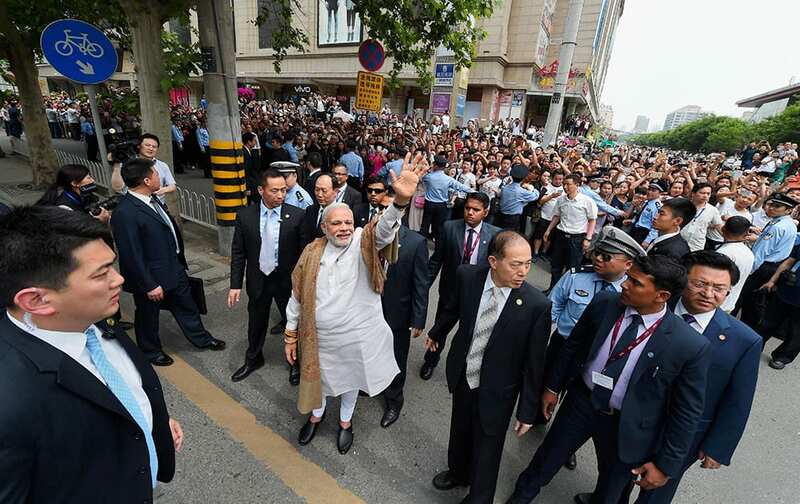 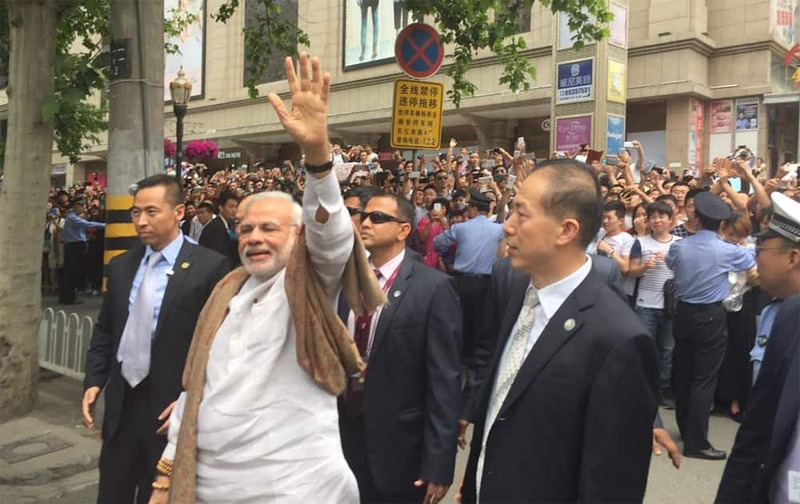 Prime Minister Narendra Modi interacting with the people near the Daxingshan temple in Xian, China.